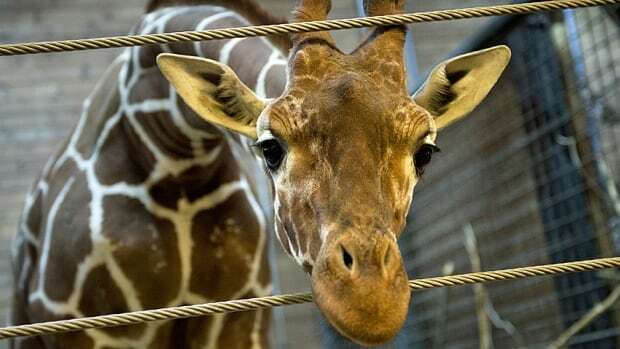 I was particularly sickened by the news this week that the Copenhagen Zoo killed Marius, a young giraffe under its care. The zoo chose to make a public spectacle of the act, conducting an autopsy and then dismembering the body to feed to the zoo’s lions. Zoo officials were transparent about their act and obviously felt that euthanasia was the best course of action. Take a look at the notice they posted on their website in advance of their action. You can see it here. The European Association of Zoo and Aquaria stood behind the zoo, or at least the act of euthanasia to manage the gene pool. You can read its statement here. “Zoos and aquariums in North America that are accredited by the Association of Zoos and Aquariums (AZA) have a number of ways that they manage animal populations. Through the AZA Species Survival Plan program, these methods include science-based breeding recommendations and cooperating to plan for adequate space. AZA’s Wildlife Contraception Center and AZA’s Population Management Center help AZA members with the expertise and planning to manage animal populations. As someone who practices public relations for a living, I was absolutely shocked that the Copenhagen Zoo could be so deaf and blind to how unacceptable this would be to the world community. Somehow, it got so focused on its task of “genetic diversity” that it forgot another essential task – to maintain and strengthen public confidence that the people in charge of their zoo care deeply and personally about the individual animals under their stewardship. Resorting to euthanasia without exhausting other possibilities was bad enough. The highly public display of butchering an animal was totally insensitive. As someone highly involved with the zoo and aquarium community (I’m on the board of the Phoenix Zoo), I understand the hesitance of the U.S.-based AZA to totally denounce the Copenhagen Zoo. I’m not ready to condemn the zoo for all time, either. Despite this tragedy, I’m confident that this zoo does a lot of good work to inspire people to care about animals and nature and, yes, to help many species survive and someday prosper. Still, there’s no way to see this as anything but an atrocious blunder that could set back confidence in zoos generally. If you’re led to think negatively of all zoos because of this incident, I hope you’ll take time to read the comments of Geoff D’Eon, who produced the documentary Zoo Revolution. I think it’s a realistic assessment of zoos worldwide. I sincerely hope the leaders of the Copenhagen Zoo learn from this lesson and don’t dig in to keep defending their actions toward Marius. Right now, it’s time to respond with humility to the outcry and to demonstrate concern and care for their animals. This entry was posted in Society, Sustainability. Bookmark the permalink. I am so glad to read this and see you speaking out against this abomination. What happened in Copenhagen is not something I would expect from even the most rogue, unethical, off-the-radar, unaccredited facility. Let alone a legitimate, accredited zoo. Let alone to have AZA and EAZA pretty much condoning this! You summed up everything really well. I hope more zoo leaders across the country will join you in speaking out. I keep expecting that to happen and… silence. Unbelievable. I used to belong, give tours, and interpret at the National Zoo in DC. Obviously I am a HUGE proponent of zoos’ conservation work. But this is breaking my heart and making me lose a lot of faith. At this point I feel like next time I’m in a position to give financially, it will go to Jack Hanna’s group and not a zoo. Sorry for the long comment! I have a lot of pent-up anger about this!!! Thanks, Sarah. This hasn’t shaken my faith in zoos and their long-term importance for conservation and inspiring concern in people for the importance of caring for animals and the environment. I even think the Copenhagen Zoo still has a lot to offer as part of a worldwide effort to save species. But this was egregious, and it’s not acceptable to chalk it up to cultural differences between Denmark or Europe and North America. These things happen on a world stage, now. All cultures have to be considered, as does the impact of any one zoo’s actions on the standing of zoos worldwide. Years ago, I did public relations for a large U.S. brewing company, and it was learned that the company – or at least one of its wholesalers – sponsored cockfighting events in central America. U.S. animal advocates were outraged, of course. The initial reaction of some within the company was to say that people had to understand the cultural differences that made cockfighting more acceptable south of the border. This didn’t fly, of course, and eventually, the sponsorship stopped. Same here. This won’t fly, and all zoos – certainly all accredited zoos – have to understand that they play on a world stage.